Looking for a useful and unique gift for that someone special in your life this holiday season? 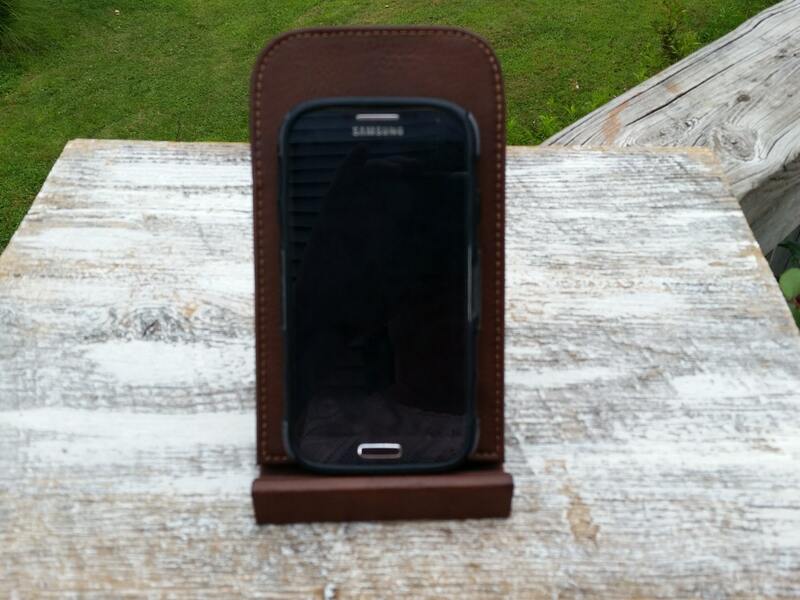 This leather phone docking station/ charging station can be custom engraved as per your request. It will make a perfect gift for the student in your life, boyfriend, girlfriend, best friend, teacher, accountant, grandma, grandpa, nanny, anyone on your gift list. 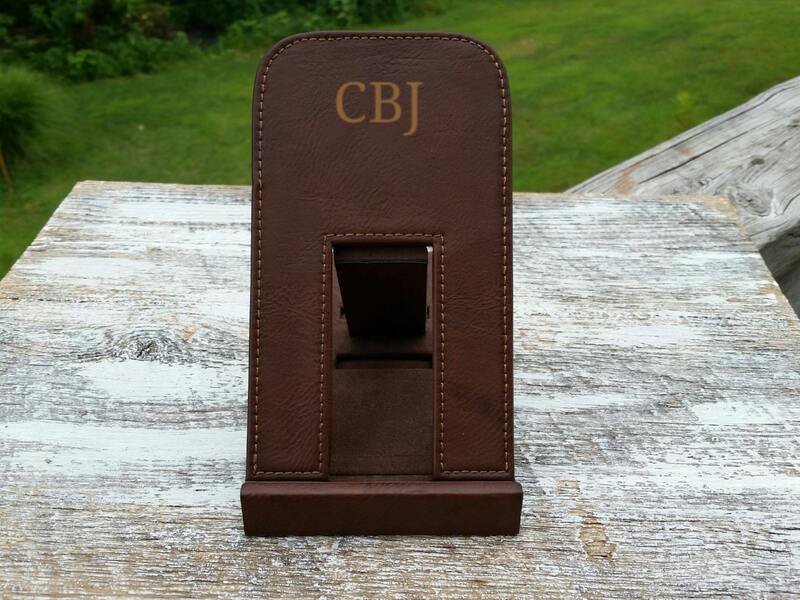 We can custom engrave the stand as per your request. Qty:1 docking station gift wrapped.